Living in a city means sharing a limited amount of space with a great variety of people. With more and more individuals choosing this way of life, urbanization and density have caused a change in the way that we perceive space – as a resource, a shared good that should be both enjoyed and preserved. And this resource is, in cities, a limited and nonrenewable asset. Facing rampant urbanization and increased occupation of vacant areas, metropolises are struggling to maintain this resource accessible, both in quality and in quantity. The demand for space is indeed quantitative, for practical reasons: one needs a certain amount of space to live, to circulate, to work or for leisure. But the demand is also of qualitative nature: city dwellers request and deserve by right quality urban spaces, that are safe, lively, sustainable and healthy (Jacobs, 1961, Gehl, 2010). To provide for these two aspects with the limited amount of space left in cities, urban dwellers have found a solution in the commoning: sharing the resource for optimizing their needs (Foster & Iaione, 2016). The need for quality public spaces is being increasingly recognized by scholars and local governments, as well as by global cooperation agencies. The New Urban Agenda, defined by the conference Habitat III held in Quito in 2016, stresses the importance of public space as a vital element of urban life (UN-Habitat, 2017). The World Bank also acknowledges: “Cities must recognize the role that quality public spaces can play in meeting the challenges of our rapidly urbanizing world.” (World Bank, 2015). However, in developing countries like Brazil, South Africa or Mexico, little is still done by municipal governments to provide for this need, and public spaces are too often spaces of conflicts. Brazil, in which I conducted my research, is amongst the most urbanized countries of the world: with over 85% of its population living in cities, the country faces huge issues of sprawl and density (World Bank, 2017). Density affects the quality of the commons, as conflicts emerge over the use of space: the real estate market interests, the quantitative demand for public spaces, or large scale public-private partnerships for redevelopment projects, advocate for antagonistic forms of development (Goodall, 1972). Different groups of users pry into the public space to use it for a wide variety of competing purposes, from parking to drug trafficking for instance. Rivalries emerge, that are detrimental to the quality and accessibility of the space. In São Paulo, 12 million inhabitants are sharing little over five thousand public spaces, that is, in average, one public space is shared between 2,400 persons (IBGE, 2017). Skewed concentration of the capital in the central areas leads to underinvestment in peripheral spaces, that are then either left abandoned and used as landfills, or appropriated by residents of local communities for their own use. In the central areas as well, decades of car-oriented and transit-oriented development, added to the contemporary lack of investments and absence of political will to counter detrimental appropriators, contributed to the deterioration and low quality of many urban spaces. Instruments are being developed by the municipality to provide for quality public spaces accessible for all, that basically consists in privatization of the space: delegating the management to a private entity. Among these privatization mechanisms, the programs Adopt a Square (Adote uma Praça) and Parklets offer to private investors the management and care of a public space in the city, under the condition that it would remain accessible for all. Privatization mechanisms are nonetheless risky, in the sense that private entities should have incentives to effectively contribute to the quality of the space, and should be monitored in order to be sure that they do not exclude some users from using the space. Studying the public nature of spaces implies addressing the ‘commons’ from a legal point of view: as a property dilemma subjected to regulations and conflicts. The commons are indeed spaces or resources challenged by claims over legitimate uses of space, commonly known as the land use issues (Blomley, 2008). The property claim is at the center of the concept of commons since from property comes rights of use, and the right to exclude or limit access to certain groups of wanna-be users (Ostrom, 2003). Public ownership, ownership by the local community or private ownership are three forms among others to claim the right to use a space for specific purposes, and to consequently be able exclude whoever is not wanted in a space. This idea presents a challenge to the negotiation for the commons: in cities in which practices of privatization of the space are a raising concern, how can the negotiation for the commons manage to preserve the public nature of such spaces? Fig. 1: Diversity of uses and public in the Vila Itororó Canteiro Aberto: a homeless man (in yellow) plays tennis table with neighborhood children. In the back, a theater company rehearses and someone plays the piano. Two successful examples in São Paulo: quality public space through participatory governance and self-organization. São Paulo is a testing ground for a third way of governing space, that recenters the negotiation on the qualitative aspect of public space. Bottom-up city-making practices, either formal (systematized), such as the initiative The Batata Square Needs You (A Batata Precisa de Você); or informal, such as occupations, temporary interventions or “tactical urbanism”, are increasingly being used as a way for citizens to reclaim their right to the city and to contribute actively in the making of space. In addition to these small-scale local responses, new models of participation for private entities also gain strength and reach in São Paulo. PPPs start to include civil society through PCPs (public-civic partnerships) or PPPPs (public-private-people partnerships), and civil society organizations increasingly turn to private capital and social entrepreneurs to partner or finance their projects. This approach is systematized by the framework of the commons, as stated in 2014 by the Bologna Regulation on civic collaboration for the urban commons, the first regulation defining the commons as collective goods whose responsibility for care and improvement is shared between citizens and the public administration. Urban commons are then defined as quality public spaces, shared between a variety of actors, in which practices of city-making contribute to transform and improve the space and the way it is perceived (Bologna Regulation, 2014). This framework allows to experiment governance models that go beyond the public-private dichotomy, and to analyze a third way of doing politics, that includes the civil society. How to preserve the quality of urban public spaces when negotiating the commons between a diversity of entities with distinct interests? 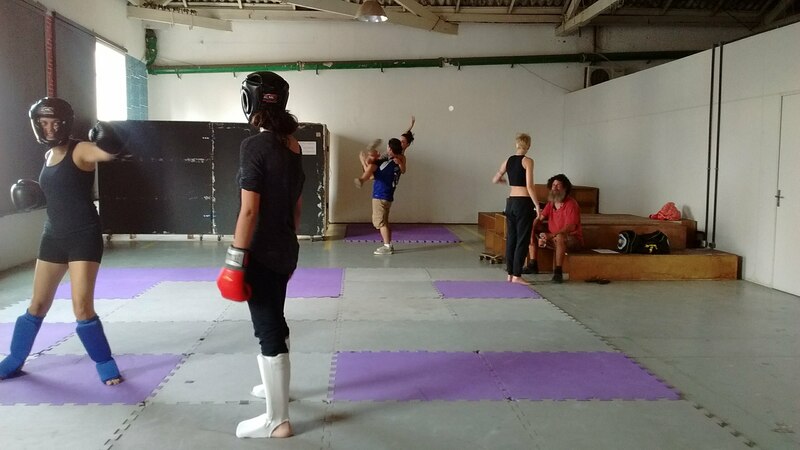 The initiatives I analyzed in São Paulo have proven to be rather successful, as they manage to improve the quality of the space while maintaining it accessible to everyone. 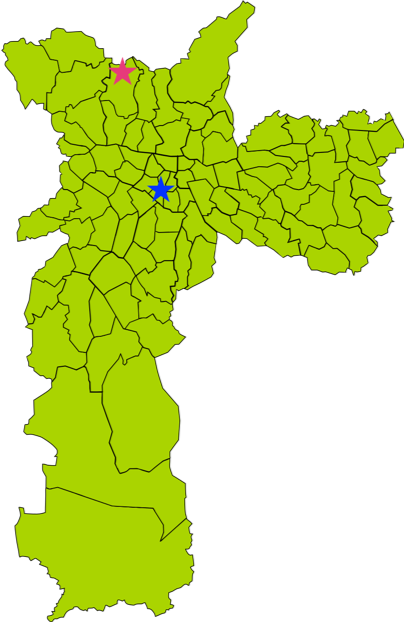 The research I conducted provides an analysis of the practices of negotiation for uses and transformation of quality urban spaces in two cases in São Paulo: the Vila Itororó Canteiro Aberto, located in the central area of the city, and the Espaço Cultural Jardim Damasceno, in the periphery (Fig. 2). 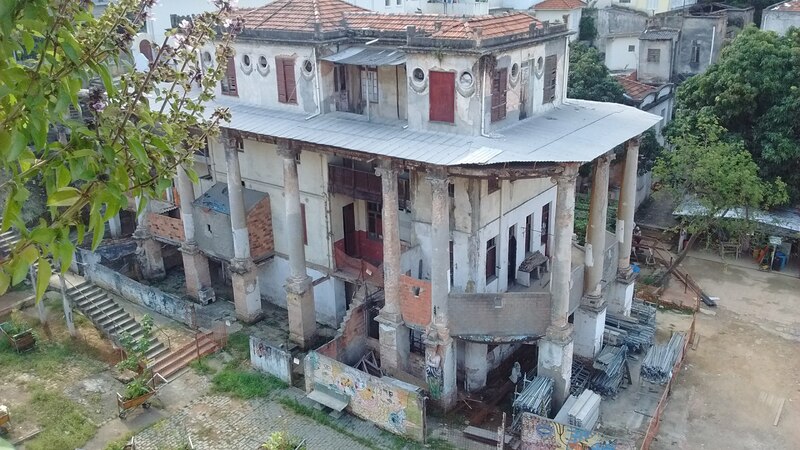 The Vila Itororó Canteiro Aberto is a project that started with the beginning of the restoration of the Vila Itororó, a 1920s mansion and the surrounding buildings forming an enclosure of 38 housing units, a vila (it could be considered as a precursor for modern gated communities). Initially inhabited by wealthy families, the Vila progressively deteriorated and from the 1970s, the housing units were occupied illegally by modest families, turning the complex into a slum (cortiço). In 2006, the municipality declared the area of public interest and started expropriating the families (Feldman & Castro, 2017). After a lot of resistance and negotiations with the authorities, accompanied by civil society organizations’ and media’s attention, the families were evicted and relocated to social housing centers. Some of the former residents organized themselves into the Riacho Collective (Coletivo Riacho), that actively participates to schedule the programmes of the Vila nowadays. In 2013, the space was handed over to the Secretary of Culture, that launched a partnership with the Institute Pedra, an non-profit organization, to turn the Vila into a cultural center (Vila Itororó, 2017). Together with the housing complex space, an adjacent warehouse was jointed to the project: the Canteiro Aberto (Site Open), serving as a vitrine for the future of the Vila. 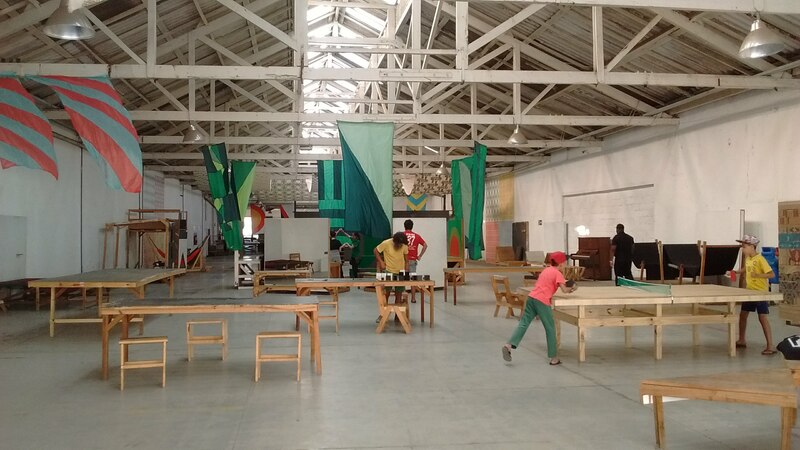 This warehouse is being used as a temporary cultural center that promotes participatory processes for defining the future meaning of the space. 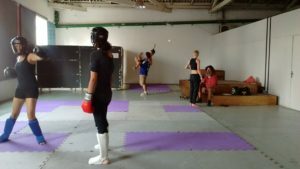 The programmation is decided in partnership with the Riacho Collective and neighborhood associations, and includes a wide variety of activities such as debates, circus, woodwork or culinary workshops, self-defense classes, dance and capoeira, free psychoanalysis sessions, visits of the mansion.. However, the contract linking the Institute Pedra to the warehouse was not renovated in 2018 and the management mandate was transferred back to the Secretary of Culture. The place was maintained as such, but the activities were not officially maintained. It is only thanks to the participants’ initiative that some activities still took place after the end of Institute Pedra’s mandate. The current management is willing to give continuity to the activities and is now negotiating with all of the involved stakeholders to resume the uses. The series of discontinuities in the management of the area are detrimental for the space itself and highlight the downsizes of depending on political will when it comes to the qualification of public spaces. Fig. 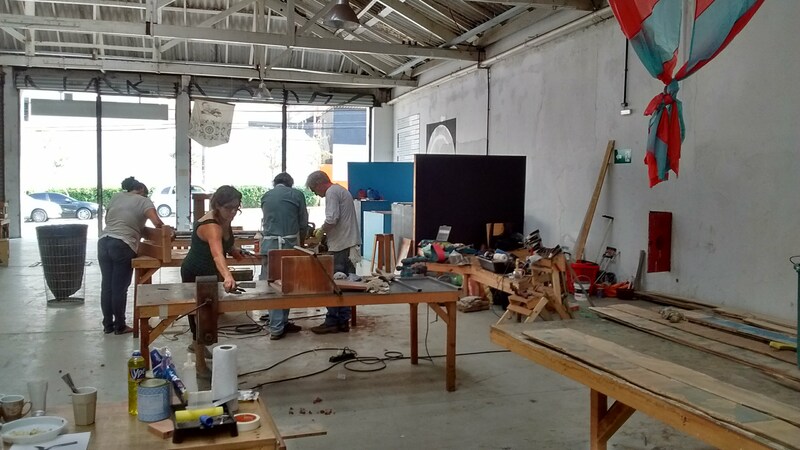 4 & 5: Mixity of use in the Vila Itororo Canteiro Aberto: on the right, self-defense group, circus rehearsal, psychoanalysis clinic (in the back) and a man asked to leave for the self-defense workshop, and on the left, a woodwork workshop. The Espaço Cultural Jardim Damasceno, located in the Northern part of São Paulo , is an informal occupation of a public space belonging to the Parque Linear do Canivete (Canivete Linear Park). 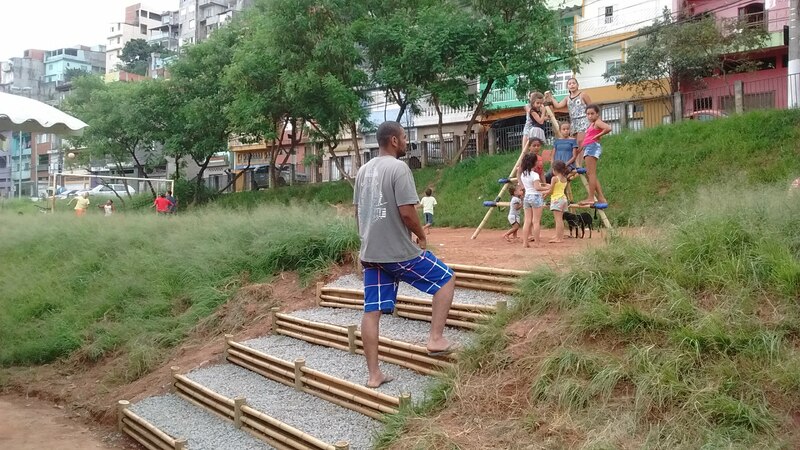 It is managed exclusively by the community, and offers community and cultural activities for residents of the neighborhood, such as dance, street art, capoeira, environmental education or cinema (Site Associaçao Jd Damasceno, 2014). The shelter in the space was built at the beginning of the 1980s, thanks to the mobilization of self-organized residents who demanded from the municipal and state government basic improvements for the region, like sanitation, lighting, and asphalt. This shelter ended being used by the residents’ association, to centralize a variety of activities that were proposed in the streets or in some houses of the neighborhood. The hangar is built on a municipal land and was built without authorization from the municipality, creating a controversial status and a debate over legitimacy. The space suffers from its status quo situation: not a part of the Linear Park, legally not an autonomous space as well, it faces huge difficulties to conduct reforms and is constantly threatened by the successive management authorities. However, the residents who manage the space are trying to prove the legitimacy and the utility of the project to the municipal government, by insisting on the public interest of the space for the community. The participatory processes that are taking place in these two cases are just two examples of how space can be negotiated between public and private entities. 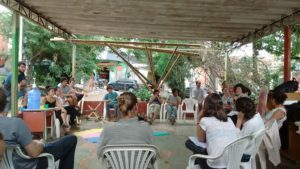 They adopted a different model: while the Vila Itororó embraced shared management as a principle, the Espaço Cultural Jardim Damasceno works under the model of occupation and self-organization. In spite of the threats that weight over both spaces, the two processes of negotiation manage to produce a quality public space and positive individual and community outcomes, as both spaces attend the necessities of the surrounding community and engage effectively with their public. Fig. 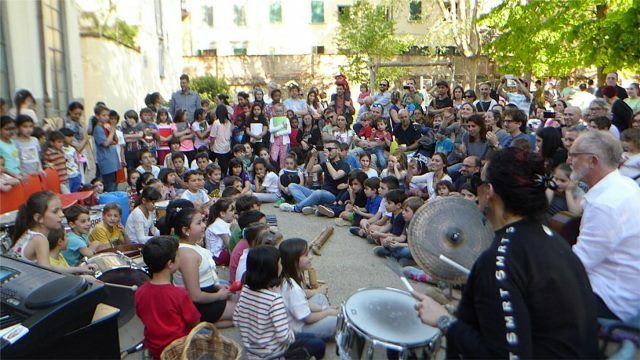 6 & 7: Community activities at the Espaço Cultural Jardim Damasceno. 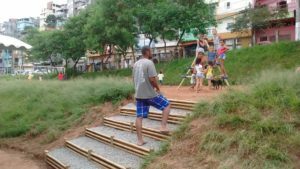 The two cases succeed in answering a real demand from the neighborhood: both are the only functional public spaces in a densely urbanized area, with a lot of young people and families. They have to attend this population as well as people living in more precarious conditions (ex-residents of the Vila Itororó, homeless people…). The variety of users in the territory is a challenge for both spaces, that is overcome through participation, civil society constant involvement and effective partnerships. 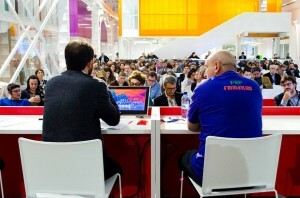 In both cases, partnerships with different groups and collectives offer numerous activities, that manage to bring people of all groups to participate. Participation is used as a tool to bring people into the place, to involve a variety of users and to engage people in relation to space. However, in both cases, the continuity of activities is threatened by political will. The governance scheme presents persistent fragility and precariousness and complex relationships with the municipal organs add up to conflicts over land use and competition between users for space. The spaces have to face management issues at the municipal scale and at the local scale, as well as within their interaction. Resources are a way of overcoming these threats. The legal framework is used as a tool to solve the political discontinuity: the recent Law of Participatory Management of Squares (2015) or the Social Function of Property are legal instruments that could help guarantee the continuity of both spaces. Persistent financial fragility is an issue, but resources could be found by diversifying sources of revenue and involving social entrepreneurs. Eventually, media or international attention could bring support to the spaces, by putting the issue of space on the agenda and pressuring policy-makers into creating more effective regulations. In São Paulo, shared management practices are hence a successful way of preserving and improving the quality of urban spaces. The model of urban commons, a singularity for public space management, challenges the traditional public-private dichotomy by showing how shared management of public goods can lead to the production of quality public spaces. Enhancing public use and ownership feeling, such practices contribute to recenter the focus of the negotiation over space management on its quality. Quality as an outcome is what gives legitimacy to the management scheme, and a strong argument for the continuity of the projects. These new models of negotiation are indeed exposed to governance challenges, but if long-term public authorities’ commitment is an important modality, it is not as essential as community engagement and civil society participation. The existence of functioning and sustainable public spaces outside the “private vs. public” realm should be preserved, upscaled and institutionalized in effective regulations such as the Law of Participatory Management of Squares (2015), in order for them not to remain isolated initiatives. Connecting the commons could eventually allow them to reach a wider impact, intending to guarantee the right to the city for every urban dweller. Such practices also have a strong political potential, as they set the ground for community mobilization and engagement. 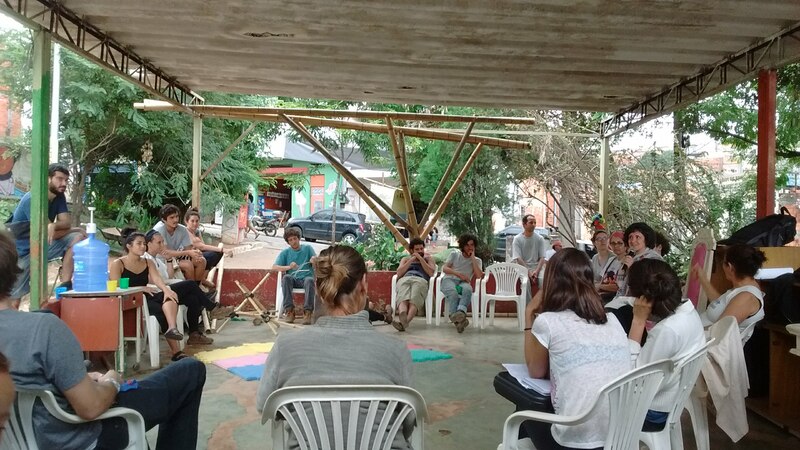 By valorizing community engagement and local culture, and by promoting democratic practices of participation, the commons of São Paulo contribute to tackling not only the lack of public spaces in the city by also the demand for more democracy. In an election year, while Brazil faces a tensed political context, it is more than ever vital for citizens to have spaces of debate and of expression in which they can discuss ideas or experiment solutions freely. Society becomes more democratic when urban spaces are more lively and diverse (Rogers, 2017): preserving the vibrant activity of such spaces, in spite of management discontinuities and resources fragility is hence particularly relevant in São Paulo. In Latin America as a whole, the negotiation for public space and urban planning practices have a determinant role to play during “extraordinary” moments, such as presidential elections or political manifestations. Understanding the means of appropriation, and “what space means and to whom” is a canal to understand how planners and municipalities could contribute to improving democracy at a wider scale (Irazábal, 2008). All pictures by the author, 2018. This article is an adapted and summarized version of my Master’s Professional Dissertation: De Parades, A., (2018). 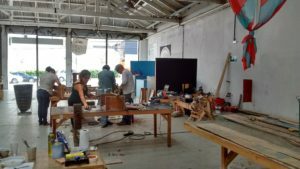 Negotiating the urban commons in São Paulo: Between private practices and public use, finding the balance for preserving quality urban spaces, Institut d’Études Politiques de Paris – École Urbaine , 2018. English, pp. 73. Blomley, N., (2008). Enclosure, Common Right and the Property of the Poor, 17 Sociology & Legal Studies. 311, 315-26. Feldman, S. and Castro, A., (2017). Vila Itororó: uma história em três atos = Vila Itororó: a three-act story. São Paulo, Instituto Pedra. Gehl, J., (2010), Cities For People, Burnaby, B.C. : University of Simon Fraser Library. Irazábal, C., (2008). 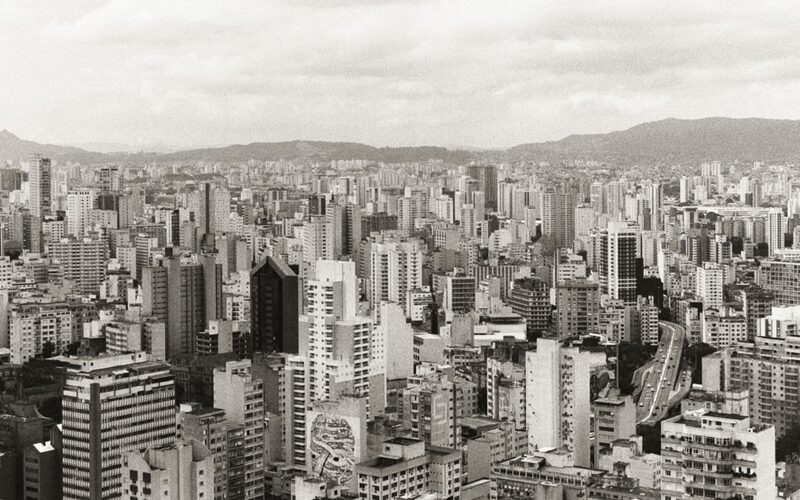 Ordinary places, extraordinary events : citizenship, democracy, and public space in Latin America. 1st ed. London: Routledge. Jacobs, J., (1961), The Death and Life of Great American Cities. New York: Vintage Books. Ostrom, E., (2003). ‘How types of goods and property rights jointly affect collective action’, Journal Of Theoretical Politics, 15, 3, p. 239-270. Rogers, B., (2017). “In Defense of the Street: 10 Principles for Public Spaces,” Making good – shaping places for people, Center for London. UN-Habitat, (2017). New Urban Agenda English, Habitat III. ISBN: 978-92-1-132731-1. Accessible at: http://habitat3.org/wp-content/uploads/NUA-English.pdf. Accessed on 1.02.2018. City of Bologna, (2014). Bologna Regulation for the care and regeneration of Urban Commons (REGOLAMENTO SULLA COLLABORAZIONE TRA CITTADINI E AMMINISTRAZIONE PER LA CURA E LA RIGENERAZIONE DEI BENI COMUNI URBANI), Bologna. Câmara Municipal de São Paulo, (2015). Lei Municipal Nº 16.212, de 10.06.2015, Dispõe sobre a Gestão Participativa das praças do município de São Paulo, São Paulo. Today June 7th, a small event, highly symbolic however for all of Europe’s historic centres being turned into Disneylands for tourism, will take place in Florence, when the children of the Oltrarno district will plant forty rhizomes of iris about one hundred metres from the Brancacci Chapel, where Masaccio unwittingly unleashed the Renaissance (and also painted an extraordinary allegory of the Commons). Whatever is bureaucratic and artificial, is easy to understand. Whatever is real is unique and complex, so it will take some explaining, but the fun lies precisely in putting the strands together. The first strand lies just behind the Carmine church, in Florence’s Oltrarno district: a garden hidden behind a high wall called the “Nidiaci”, a gift by the American Red Cross, in 1920 to the children of what was then the poorest district of the city, riddled with TBC and crime, yet the scene of extraordinary human passions and solidarity. Today the inhabitants of the centre of Florence are being driven out by an Airbnb economy based on evictions, empty houses, craftsmen overwhelmed by taxes losing their workplaces to pubs. Flats are filled by people who have no contact with the area they sleep in for a night or two, while bartenders and cooks – largely from remote parts of the world – commute every night for miles, to reach their zoned homes, leaving a trail of burnt fossil fuel behind them. To make way for tourists yearning to see the “Oltrarno, district of craftsmen”, the last shoemaker was evicted too: he held out bravely for several months in his tiny shop, with no running water, before finally leaving the city. The hidden Nidiaci garden has become a rallying point for old and new residents – Florentine carpenters and bakers alongside Macedonian hotel cleaners, Egyptian pizza cooks and Irish artists – who keep it open as a Commons: arts, music, crafts, a vegetable garden, a football school, set up by the legendary Lebowski team (the only soccer club owned by fans in Italy) and guided tours for local children, to remind them that they are the guardians of the rich history of Florence, wherever their parents may have been born. The second strand concerns the name of Florence, supposedly derived from the Latin flos, “flower”: a city founded, according to legend, during the Roman festival of Floralia, an image which immediately brings to mind Flora in Botticelli’s Primavera, so beautifully thinned out in Evelyn De Morgan’s painting Flora, sold to a Scottish patron. The heraldic symbol of the city-state of Florence, since before Dante, has always been the fleur-de-lys, as it appears on the town banners. Here you can see it in one of those ambiguous events where true Florentines wear, with enormous commitment, authentically fake Renaissance costumes, partly to attract tourists, but mainly because they have a tremendous desire to express a deeply felt identity. People all over Italy do similar things, like the Chivalry Joust of Sulmona, which has no spectators because nearly everybody in town is an actor and nobody knows where Sulmona is. The fleur-de-lys of Florence is actually an iris, the humble giaggiolo which until not so many years ago used to grow everywhere along the banks of the Arno, but has now nearly disappeared. 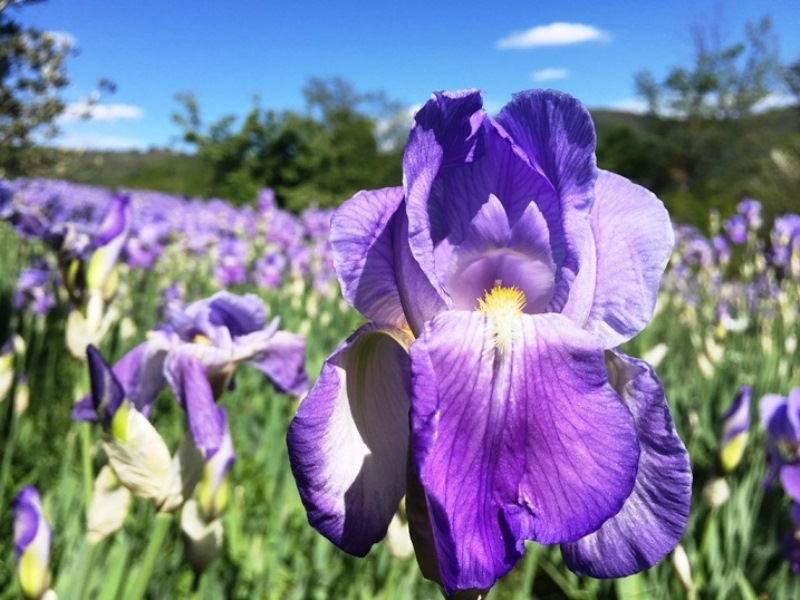 Next to Piazzale Michelangelo, where tourists enjoy a splendid view over the city, there is another little known garden, kept open only a few weeks a year by a group of enthusiasts and dedicated exclusively to the iris. 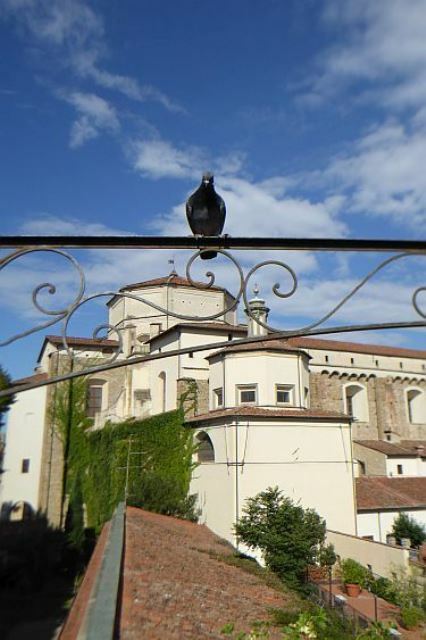 The third strand is the University of Florence, where Professor Stefano Mancuso has opened a new field of research, that of plant sensitivity, establishing the International Laboratory of Plant Neurobiology. Mancuso is also the inventor of the fascinating and somewhat frightening Jellyfish Barge, a kind of Noah’s Ark to help us survive the Anthropocene we have created. 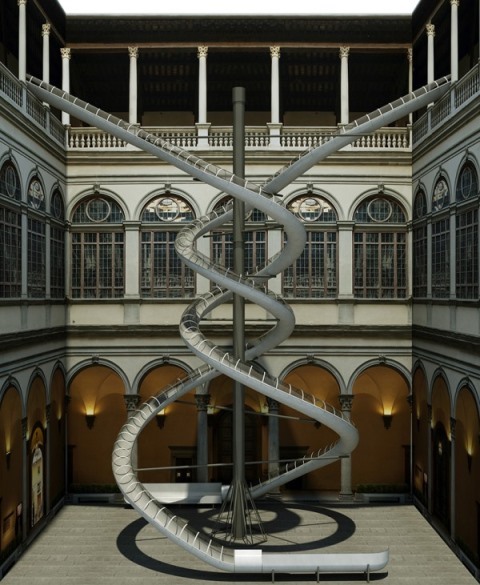 Right now, probably the most prominent cultural event in town is an unlikely experiment set up by Mancuso and a German artist, in the courtyard of the Renaissance Palazzo Strozzi, on the relations between plant and human psychology. The Florence Experiment is a research project where visitors slide down a structure from a height of 20 metres; their emotional reactions will be recorded and compared with those of plants to examine the empathetic possibilities between humans and plant organisms. The issue of relations between plants and us, is of course enormous, quite simply because without plants, we would cease to exist; and our future therefore depends on how we relate to them. This takes us to the fourth strand.  Professor Mancuso has launched an interdisciplinary master’s degree, called “Plant Future” – Futuro Vegetale, – bringing together scholars from very different fields (biology, sociology, architecture, political science) who are seeking a way out of the suicidal course we are currently engaged in. 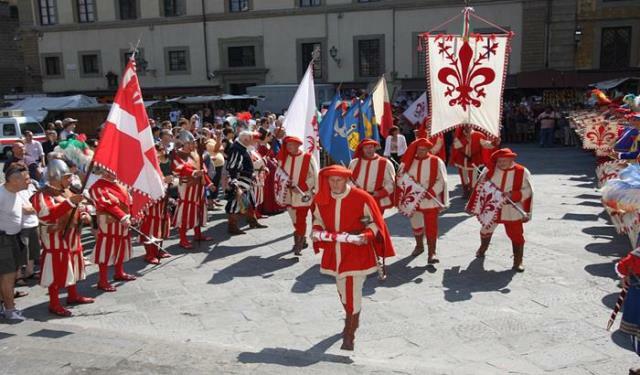 Though it is a rediscovered tradition (dating back to the 1930s), it is firmly rooted in local culture, and is the strongest source of identity of the Oltrarno district, which is of the “White” colour, and where a hardy group of unpaid bar keepers, electricians and carpenters risk their lives every year for this match dedicated to Saint John, the city patron. The official matches are a municipal institution, so fans and players have set up an independent organisation, recreating the fourteenth-century fraternity of the “Whites”, the Compagnia dei Bianchi, one of the countless lively community organisations of medieval Italy, to develop local solidarity and help the countless people whose very survival is in doubt in these hard times. The scholars of Plant Future decided that the most symbolic place in all Florence to launch a new idea of how to found a city was the Nidiaci garden, its plants, trees and human community. The first irises would be there, then they would be gradually planted wherever people took care of community gardens. So they went to the Iris Garden, where the organisers immediately understood, and gave forty of their best rhizomes, kept for international competitions, to plant in the Nidiaci, recreating the original Florentia or flowering. The minute beginning of a renewal of a whole city, based on commoning. The Plant Future scholars came over to visit the garden. An Albanian mother, who sells shirts in the market at San Lorenzo and teaches the children how to grow tomatoes and melons in the Nidiaci garden, decided where the rhizomes should be planted. Then the organisers got in touch with the Compagnia dei Bianchi, because it was fundamental for them to be present in such a special moment. All of this is very small, and very concentrated. And smallness, and concentration, is exactly what we all need. Christian Iaione, LabGov Faculty Director, published a new study “The Right To the Co-city” on the Italian Journal of Public Law, Volume 9, Issue 1, 2017, p. 80. This study is an effort to contribute to the current urban studies debate on the way to conceptualize the city by advancing a rights-based approach and to suggest that to build such vision one needs to reconceive the city as a commons, which is to say that the city serves as an infrastructure enabling the “pooling” of city inhabitants actions, energies, resources and the cooperation between city inhabitants and other four urban actors thereby embedding a “quintuple helix” or “pentahelix” approach in the governance design of the city. Part I articulates the most prominent visions or paradigms of the city of the 21st century and the “metaphors” that are currently used to conceptualize the city. From an interdisciplinary perspective, this part then discusses some complications and emerging key points that deserve further reflection. In Part II, the article argues that a rights-based paradigm or vision in the conceptualization of the city is emerging. It does so through the analysis of urban laws and policies adopted in exemplary case studies such as Naples and Barcelona, on one side, and Bologna and Turin, on the other side. Two main rights-based approaches seem to emerge: the rebel city model and the co-city model. In Part III, to better define this fourth urban paradigm and in particular the second approach, a focus on the key concept of commons and a review of the main bodies of literature is provided which are key to carve out the concept of “pooling” as a form of cooperation that encompasses both sharing of congestible resources to avoid scarcity and collaboration around non congestible, constructed resources to generate abundance. Building on the existing literature of a particular subset of studies on infrastructure commons, the concept of pooling is extracted from the observation of how pooling as a demand-side strategy can both expand or leverage the idle “capacity” of an infrastructure to avoid congestion and at the same time generate abundance. Pooling is particular effective in explaining the main features of a peculiar vision of the rights-based city, the co-city approach, ultimately envisioning the city as an enabling infrastructure for social and economic pooling. Part IV offers concluding remarks and proposes the idea of the “right to the co-city” to build a body of urban law and policies advancing “urban rights to pooling” as a key legal tool to structure a commons-oriented interpretation of the fourth vision of the city, the rights-based approach. From May 20 to May 22 2016, Ferrara will host the first Italian Festival about the sharing economy – open to everyone and for free. It is born from the idea of change and new social economy that recently came into our lives. The idea of the festival is to transform the economic and social system that has been in crisis on the one hand, and to create new models of organizations, work, relations/relationships and communication involving institutions, citizens, private persons, individuals and the community on the other. During these three days the whole historic city centre will give space to interesting meetings, special events and shared experiences. But first of all: What is the sharing economy? The sharing economy is a new social and collaborative phenomenon. It is an approach of form of life by valuating high the principals of cooperation and using them as an instrument to influence organizations and to transform enterprises. And next question: Why Ferrara? Ferrara has an identity of the territory: It always has been giving space to the idea of associations and cooperation. Its objective is to build up a laboratory of ideas regarding the transformations and changes. Everyone is affected by the different levels of our political and social, economic and organizational lives. The Festival gives everyone the possibility to be part of the change and to create a new value of the territory, of the country. Cooperating with the “Associazioni di Categoria”, the “Associazioni Culutrali”, the university and a lot more organizations to work together so that the city of Ferrara can continue to work on being an open building site on the cooperative culture. Moreover, Ferrara is a place of reflexion on the themes of actuality and gives the possibility to create a platform of discussion. And finally, it is a place of contemporary culture, it is open and active. The festival gives the opportunity to talk about these realities, even about the small ones with a typical national character that are increasing and growing very fast. The aim is to create a dialogue between the traditional organizations and associations, but also enterprises that for many years are operating on the (international) markets, and to show them new, advanced models to improve and to cooperate. 10. There should be safeguards against opportunistic, exploitative, and short-sighted behaviors, as well as escapist flights and utopian or ideological visions, in developing and sustaining the urban commons. A bottom-up, as well as a circular, approach is crucial for the urban commons and confirms Focault’s argument that power is “not something that is acquired, seized, or shared, something that one holds on to or allows to slip away; power is exercised from innumerable points, in the interplay of non egalitarian and mobile relations”. This is just a tiny part of the huge body of knowledge generated by “The City as Commons” conference thanks to your support and cooperation. We look forward to building new advancements in the study of the urban commons hope that we can continue to partner with you towards this end. 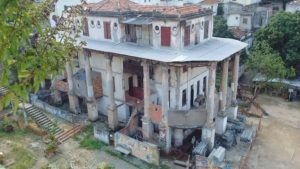 10. nello sviluppo e nel sostegno ai beni comuni urbani dovrebbero essere inserite delle clausole di salvaguardia contro comportamenti opportunistici, strumentali e di breve termine, così come si dovrebbero evitare fughe in avanti e costruzioni utopiche o ideologiche. Un approccio dal basso e circolare è cruciale per i beni comuni urbani e conferma la visione di Michel Foucalt, secondo il quale “il potere non è qualcosa che si acquista, si strappa o si condivide, qualcosa che si conserva o che si lascia sfuggire; il potere si esercita a partire da innumerevoli punti, e nel gioco di relazioni disuguali e mobili.